Ming-Chi Kuo of Concord Securities released a note to investors today detailing his ideas on the iPad 2’s components. The analyst seems to agree with 9to5mac‘s findings in the SDK and is claiming the iPad 2 will keep the iPad 1’s 1024 x 768 display, but will introduce some improvements like a thinner panel and Kindle-like anti-reflection. This new screen should put commercials like this from Amazon to shame. The report also claims the new iPad will sport a dual-core 1.2 GHz Cortex-A9 processor. This new processor will likely be dubbed the A5, according to various reports. In terms of graphics processors, the iPad 2 will utilize the SGX543 as our SDK findings would also tell you. The report also states there will be three different connectivity options: WiFi-only, GSM, and CDMA. 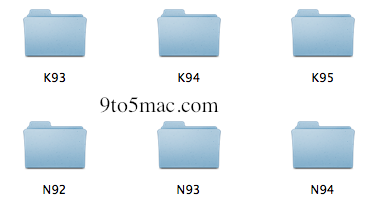 This corroborates with three versions of iPad 2 we found in the SDK: K93, K94, and K95. Finally, the report backs up our SDK findings and claims the iPad 2 will gain a front-facing and a back-facing camera. The front is said to be a 0.3 megapixel VGA shooter, and the back is said to be a 1 megapixel lens.